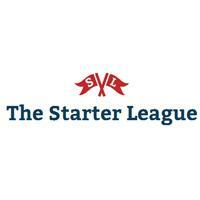 The Starter League is a 11-week beginner-focused design and development school located in Chicago, IL. The Starter League is the best on-site learning environment for people who want to learn how to build web applications using Ruby on Rails. Our school takes people from knowing little to nothing about design and development to being able to build a web application in 3 months. While providing top-notch instruction and mentorship from the best designers & developers Chicago has to offer, The Starter League also empowers students through a network of Chicago’s best entrepreneurs, investors, and companies to help people make their ideas real on the web.